Tired of trying jailbreak programs that break your iPhone or are simply just ad scams? 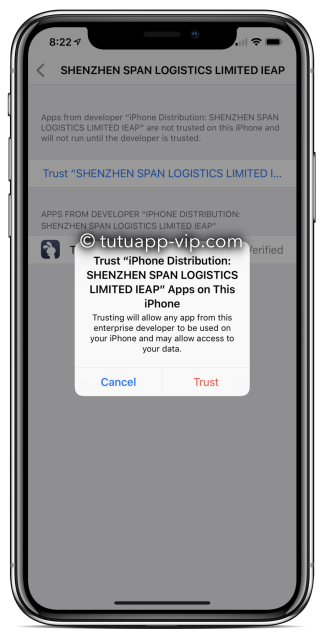 There’s a whole world out there that uses a simple sideloading method to bring official, unofficial and tweaked apps to your iOS device, and it is helmed by none other than TutuApp VIP. Touted as a Cydia alternative, TutuApp VIP is the paid version of the world-famous free TutuApp which capably provided a viable alternative to jailbreaking. If you just want the benefit of being able to download and install packages that aren’t found in the official App Store, this is the app for you. One thing to note is that, unlike Cydia, TutuApp doesn’t have Substrate compatibility, so you won’t be able to find any packages that require Substrate to work. That doesn’t stop you from accessing thousands of apps – official ones from the App Store, unofficial ones that you won’t find there, and tweaked apps that are basically popular apps on steroids! The advantage of this over Cydia is that the latter doesn’t have updates for iOS 10 or iOS 12. TutuApp was rehashed a while ago to make it more competitive against today’s jailbreak landscape. The new TutuApp VIP has a chic new user interface and better-than-ever graphics, and you’ll love the ever-growing collection of apps and games that are continually added to the platform. However, if you’ve never used TutuApp before, we recommend that you first try the free version, get the hang of it and then upgrade for a very reasonable $6.99. What Apps Can I Get with TutuApp VIP? TutuApp VIP gives you the privilege of getting paid apps for free. There is a wide range of apps you can choose from including video and movies, social media, gaming, productivity, music, and even gaming emulators like HappyChick. Some of the best tweaked and premium apps you’ll find on TutuApp VIP as absolutely free downloadable packages are Spotify++, MovieBox Pro, Minecraft PE, GTA San Andreas, Instagram++, NessVPN, etc. Tweaked apps are essentially apps that give you greater functionality than their stock equivalents. For example, Instagram++ offers a much easier way to directly save images from Instagram into your Camera Roll. That’s just one example. Whatever features that an apps fans want, you’ll very likely find it in these modified versions. While you can’t get generally get modded apps without jailbreaking your iPhone, the sideloading process used by source management tools like TutuApp make this possible. They’ll essentially alternate and unofficial app stores that also install the packages for you. The installation process is very simple, but not the same as downloading an installing an app from the official App Store. The steps below show you how to download and install TutuApp on your iOS device. If you have an Android device, it works for that, too! That’s explained in the next section. Step 1: Go to the home page of TutuApp VIP and click on the menu item called Download. This must be done on your iOS device. Step 2: On the download page, click on one of the configuration profile link buttons to download it. At the pop-up, tap on Install and wait for it to download. Don’t open the app just yet. If you’re the curious kind, you can, but all you’ll get is the “Untrusted Enterprise Developer” prompt, where you have to tap on cancel. Step 3: Now go to Settings > General > Profile and find the profile name of the developer. Tap on the name and tap Trust in the pop-up. Step 4: You can now tap on the app icon and start downloading the amazing apps inside. If the installation doesn’t work the first time, try doing it again. It should work fine. In the same download page where you got the iOS links, scroll down and click on the Android APK button, which takes you to the resource page for Android devices. Again, do this on your device. Before downloading the app’s APK, go to Settings > Security > Unknown Sources and toggle it to the ON position. Now go back and tap on the TutuApp APK button or the alternate link next to it. Both work. Go to your files app and locate the downloaded APK file. You will either have to double-tap it or tap it open and tap on the app file. Doing so will install the application. When you see the icon on your screen, you can start using the app. One of the best reasons to use TutuApp and the sideloading method of installing unofficial apps is…drum roll…Apple itself! That’s a mouthful, isn’t it? It doesn’t explicitly say that your warranty will be voided, but “Apple may deny service” is strong enough to scare the pants off anyone who’s plopped down $200 or more towards Apple Care coverage for their iPhone Xs or iPhone Xr. So, if you want to take your iPhone in, you first have to use something like Cydia Impactor to UNjailbreak your device. And then, if you want, you can jailbreak it again after your dealings with Apple are complete. There’s no such hassle with TutuApp or TutuApp VIP. You don’t need to, but if you want to play it safe, all you need to do is uninstall the app and any tweaked apps that might give away the goose, so to speak, and you can confidently take it into the store. So if you’re frustrated with the state of jailbreaking and lack of Cydia updates, this is your go-to solution. You’ll still be able to get all the games and tweaked apps that you’ll find in a Cydia repository – without the hassle of worrying about jailbreaking and voided warranties.